A carefully graded step-by-step introduction to the classical guitar. Teaches how to read music and the essential left and right hand techniques. Features over 50 pieces for classical guitar. Special feature of instruction method is that each hand is dealt with separately, gradually building confidence in the student to progress. Some of the songs included are Greensleeves, El Condor Pasa, Polovtsian Dance etc. Though I've been playing the guitar for almost 15 years, I was self-taught and, as such, never really developed a firm grasp on the fundamentals of reading music and applying it to the guitar. Most instructional books that broached the topic made it seem too daunting and intimidating. This prevented me from taking on more ambitious pieces, namely classical arrangements. However, finding ""Introducing Classical Guitar"" changed all that. 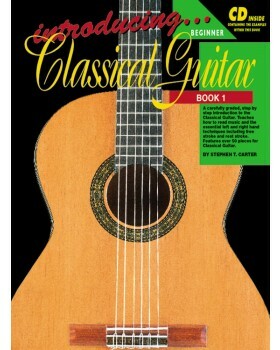 This easy-to-read, 27 page book presents both reading music and mastering the fundamentals of classical guitar in a way that is both easy to understand and fun to learn. Through concise and familiar descriptions and examples, one not only learns but understands all those things that may have seemed too advanced in the past. I opened this book completely intimidated and overwhelmed by musical notation for the guitar. I closed it feeling confident enough to take-on the most complex of pieces. 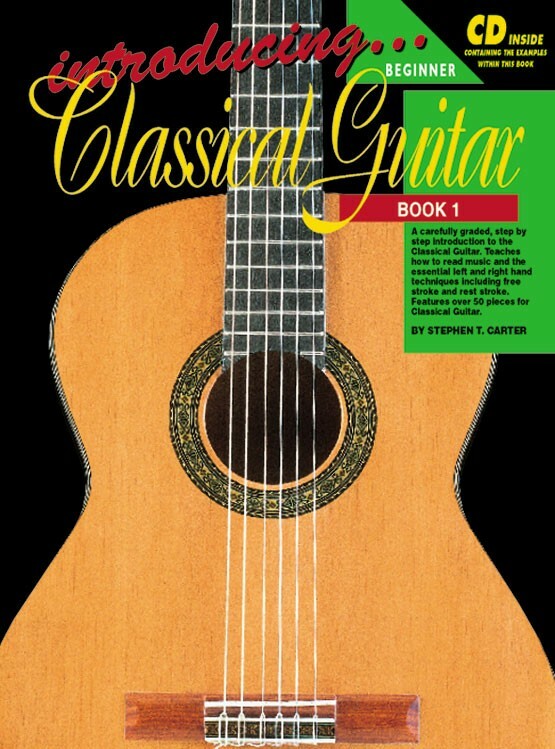 Moreover, to add to its unique ""user-friendly"" delivery, the book is replete with various hints and words of wisdom that make playing classical guitar seem do-able. For instance, understanding the nature of music, how to site-read with ease, how to memorize pieces, how to get your fingers ""working,"" etc. Sitting down with it is a pleasant experience as a whole. However, an experienced player may find it a bit too basic or slow for their needs. Needless to say, it does touch upon such things as familiarizing one with the fretboard, the proper way to manipulate the instrument, and the basic chords. Though these can, of course, be skipped-over, I actually found it enriching to understand the general theory behind what I already knew, as well as practice the suggested methods of playing, especially since Carter's explanations were void of pretension and assumption, unlike so many other classical instructionals. Moreover, don't expect to finish this book and have a repertoire of impressive pieces. Since the emphasis is on learning the fundamentals, most of the exercises are quite basic (although his easy-to-learn version of "Asturias" will cause heads to turn). But to that end, I think the book would be perfect for the beginning guitarist as well.